Acacia would like to provide a further update with respect to the findings of the Presidential Committee’s investigation into the export of gold/copper concentrates which were presented to the President of Tanzania H.E. Dr. John P. Magufuli on 24th May 2017. Based on more than 20 years of data available to us – which we will make available for any further analysis – we cannot reconcile these with the findings of the Committee. This historical data has been compiled and analysed by Tanzanian and international experts and organisations, with consistent results. This independently verified data has consistently shown the gold content of the concentrates is less than one tenth of the Committee’s findings. If the Committee’s published findings were based on accurate data, Bulyanhulu and Buzwagi would be the world’s two largest gold producers. Given the magnitude of this discrepancy we believe there should be an independent review of the content of the concentrates. Acacia’s verified data shows that the 277 containers at Dar Es Salaam port contain 26,000 ounces of gold in total. Each of these containers contain on average around 3 kg (around 100 ounces) of Gold, 3 kg of Silver and 3,000 kg of Copper. The Committee’s findings were that the gold content of these containers, which represent one month’s production, totalled 7.8 tonnes (or 250,000 ounces). 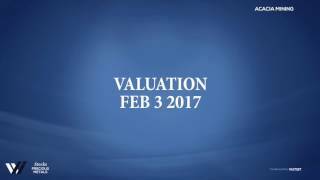 In 2016, Acacia produced and sold 250,000 ounces of gold in concentrate from these two mines in the whole of the year. The Committee’s findings imply that Bulyanhulu and Buzwagi each produce more than 1.5 million ounces of gold per year. This would mean they are the two largest gold producers in the world; that Acacia is the world’s third largest gold producer; and that Acacia produces more gold from just three mines than companies like AngloGold Ashanti produce from 19 mines, Goldcorp from 11 mines, and Kinross from their 9 mines. Acacia’s declarations of gold production and sales revenues exactly match the gold and silver ounces and copper tonnes that the Acacia businesses produce, sell and declare. Acacia’s production and financial statements and figures are all fully audited, and demonstrate that Acacia does not benefit from the extra gold (10 times more gold) that the Committee’s findings imply Acacia has not declared. Under Tanzanian law and our agreements with the Government, Tanzania receives royalties of 4% of the gold, silver and copper contained in the concentrates. Acacia has always paid the royalty due to Government and there is a robust audit trail to demonstrate this. Whilst there are other minerals contained in the concentrates, including Iron, Sulphur, Rhodium among others, these are not of commercially viable quantities and Acacia receives no revenues for them and no royalty is payable to Tanzania. 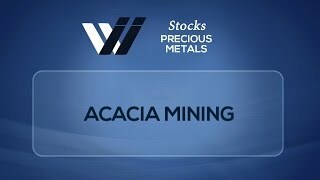 Acacia is a listed public company with hundreds of shareholders, our financial, production and gold reserve records are audited to international standards by many independent auditors, and we must comply with government oversight agencies in Tanzania, UK, Canada, and in the United States. These international regulatory agencies are independent and take their responsibilities seriously, and can impose heavy penalties on companies who do not report their production and financial results accurately. As a result, it would not be possible for Acacia to under-report our gold reserves, our gold production and our revenues even for a short period of time, let alone over many years. We do not understand how the Committee could reach these findings without consulting with these independent auditors and regulatory agencies. If the Committee’s findings were accurate, and Buzwagi produces and sells ten times more gold than it declares, Acacia would be extending mining at Buzwagi for many years. The reality is that Buzwagi is a low grade mine and is running out of commercially viable gold. Since 1977, more than 215,000 drill samples have been taken by Tanzanian geological teams just at Bulyanhulu, for many different exploration and mining companies and analysed and verified by testing laboratories in Tanzania and overseas. None of the findings made by these companies based on the analysis of these more than 215,000 drill samples are consistent with the Committee’s findings based on its samples from around 44 of the 277 containers of concentrates at the Port of Dar es Salaam. If the Committee’s findings are accurate, the many different companies, geological teams and testing laboratories involved at Bulyanhulu since 1977 and at Buzwagi since the 1990s have failed to properly sample, test and report on the grades of gold in the ground, and their gold/copper/silver production over these periods. It would be impossible for all of these audited companies to under-report gold reserves and production so significantly even for a short period of time, let alone over many years. In conclusion, we do not understand the findings of the Committee and believe that they contain significant discrepancies compared to all previous data analysed. We pay all applicable royalties on all of the payable minerals that we produce. Our exporting of the concentrate takes place in full compliance with Tanzanian law and the legal agreements that we have with the Tanzanian Government. At Bulyanhulu and Buzwagi, the combined direct impact of the ban on our exports of concentrates is the average daily loss of revenues of more than US$1 million. As a result, we are considering all of our options. This announcement is for information purposes only and does not constitute an invitation or offer to underwrite, subscribe for or otherwise acquire or dispose of any securities of Acacia in any jurisdiction.